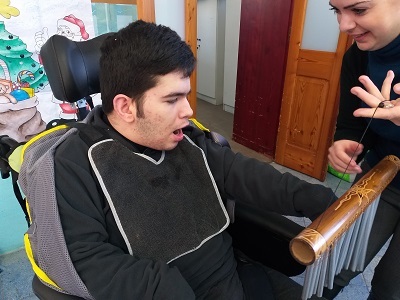 Helen Keller Resource Centre Qrendi - Horticulture Activities. 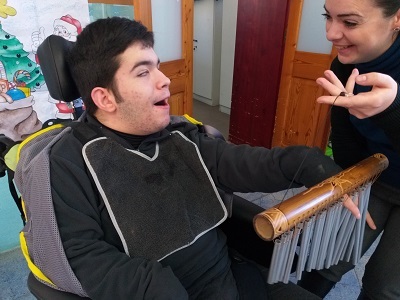 These are some photos of our students participating in music activities. These activities are prepared by Ms Zvetlana, the school Music Teacher. 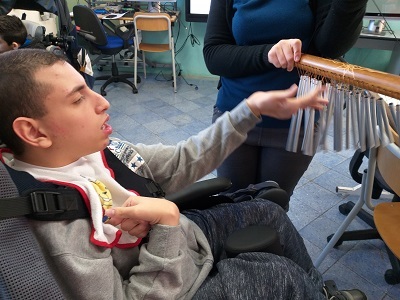 Manuel playing the chimes. Manuel listening to the sound of the chimes. Mayren playing the chimes. Shylon playing the guitar. Shylon enjoying the sound of the snare drum. Leon playing the snare drum. Giuseppe playing the snare drum. Luana enjoying the sound of the snare drum. Luana playing the snare drum. Shylon playing the triangle. 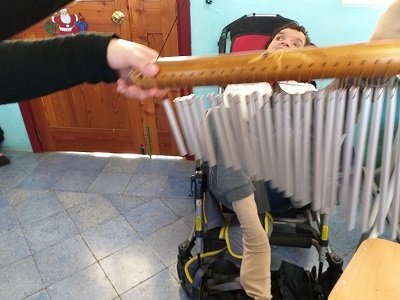 Jesmar playing the chimes. Elysea playing the chimes. Jesmar enjoying the guitar. Rosie playing the snare drum. Elysea playing the snare drum. Klajdi enjoying the sound of the snare drum. Nina listening the sound of the snare drum. Klajdi playing the bongos. Jesmar playing the bongos. Rosie enjoying the sound of the bongos. 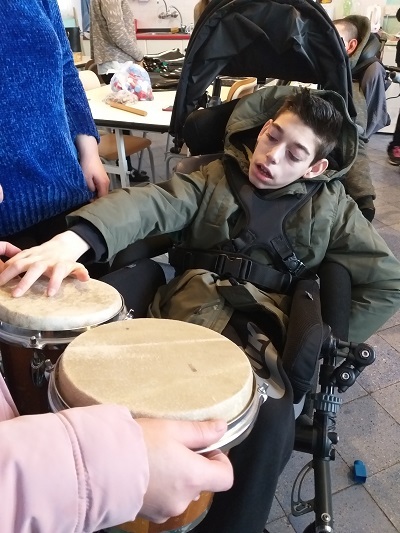 Isaac playing the bongos. Nina enjoying the sound of the triangle.. Nina listening attentively to the sound of the triangle. Rosie playing the triangle.